Four persons were killed while three others sustained serious injuries in a road mishap at Lanka Ali’s Mubarak Basti near Nilbagan of Hojai district in Assam along the National Highway 54 on Tuesday. 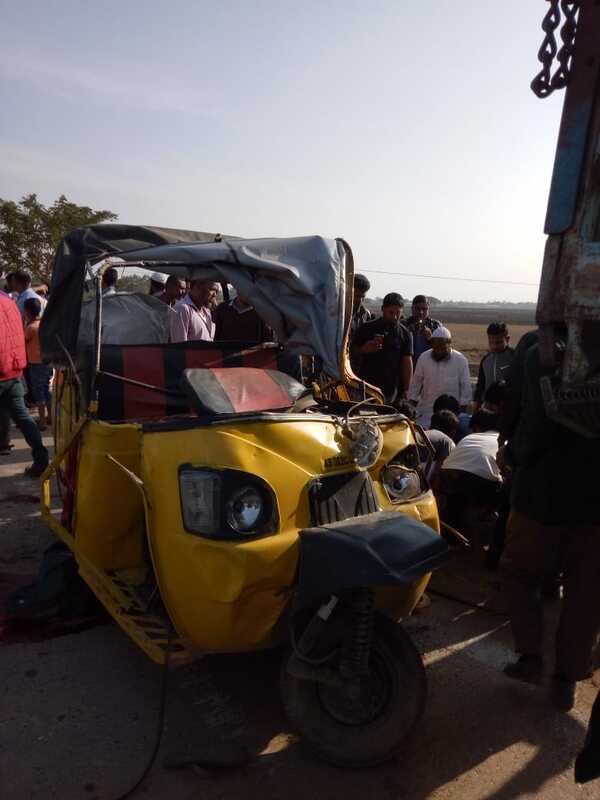 Reportedly, the accident took place at around 3 pm on Tuesday, when a speeding auto-rickshaw bearing registration no AS 02- BC 2297 collided with a standing truck bearing registration no AS 01- AC 7299. As per information, till now the identity of only one deceased has been ascertained as Saleha Begum, a resident of Doboka. As soon as police got the information, they reached the spot and with the help of locals took out the bodies and the injured persons from the damaged auto and rushed them to the hospital and the four bodies has been sent for autopsy. A pall of gloom has descended in the entire region. Notably, these kinds of road accidents in Hojai district have become a daily affair and this type of incidents have increased in recent days, where many people have lost their lives or were seriously injured.